PMS Face – The Brilliant Lisa Eldridge Talks Skincare and Beauty tips for that time of the month! 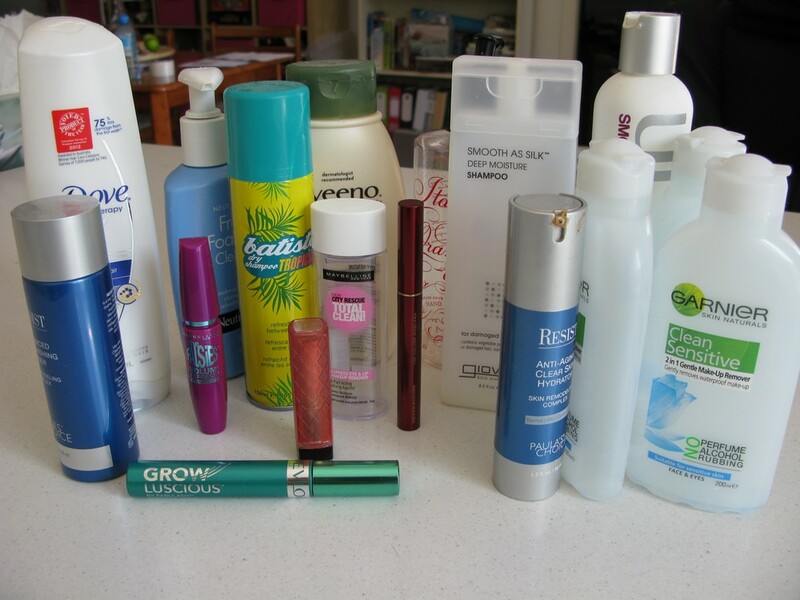 Here are my collective hair, beauty, skin care and makeup empties I’ve been hoarding for the last few months – I am relieved I can now all put the containers in recycling. Yay! 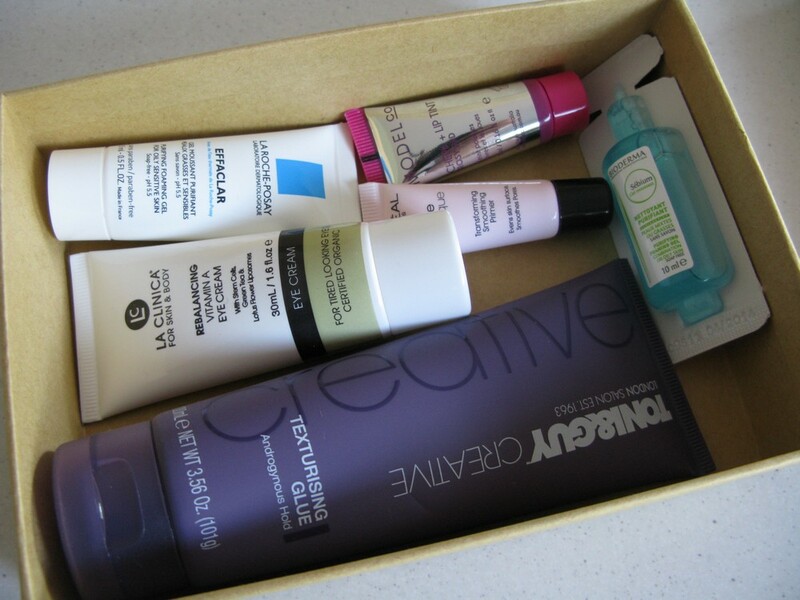 I have a few makeup empties, and as any beauty junkie knows, makeup can be hard to get through on a regular basis even if you are a regular user. I burn through mascaras pretty quickly and lip products slower, but was still able to get through my well-loved Revlon Lip Butter in Pink Truffle. 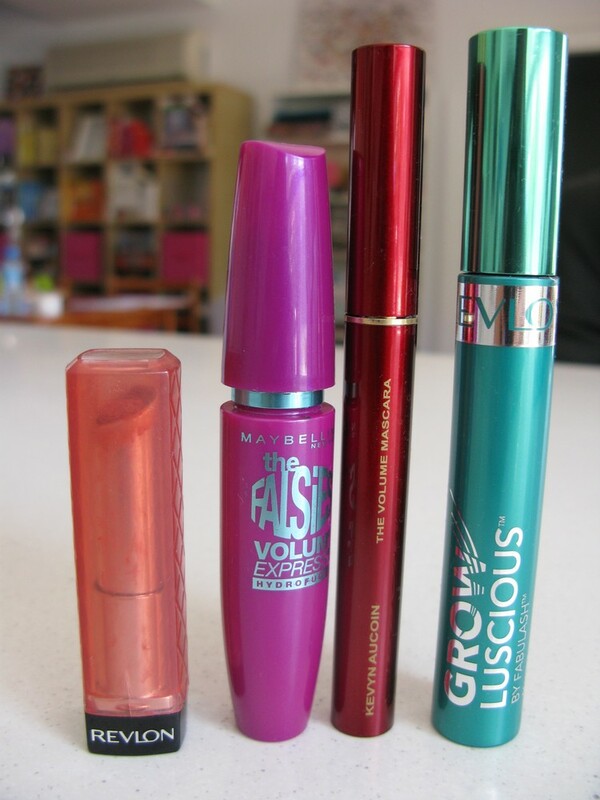 L to R: Revlon Lip Butter in Pink Truffle, Maybelline the Falsies Volume Express in waterproof, Kevyn Aucoin The Volume Mascara and Revlon Grow Luscious Mascara. 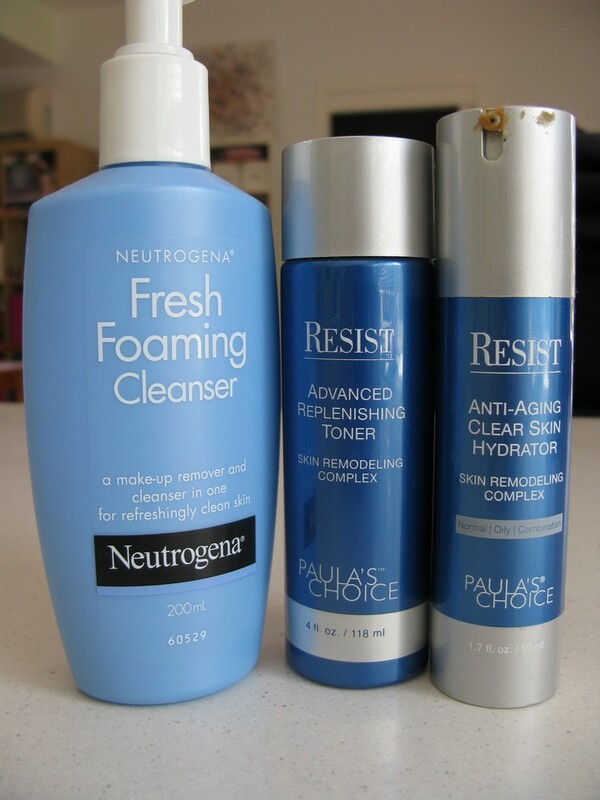 My face skin care empties include Neutrogena’s Fresh Foaming cleanser and Paula’s choice toner and moisturiser from her RESIST line. I will rotate between Neutrogena’s cleanser and a Paula’s Choice Skin Balancing cleanser, whichever I have on hand as sometimes I can’t conveniently get my paws on Paula’s choice products straight after I’ve run out of them, and I tend not to buy backups because I’m afraid they’ll spoil before I can get to them. I prefer the RESIST toner and moisturiser over Paula’s other offerings because I find them to effectively moisturise and tone without causing breakouts. Her RESIST line is really remarkable, no matter what age you are and the packaging ensures that the product stays active and effective. 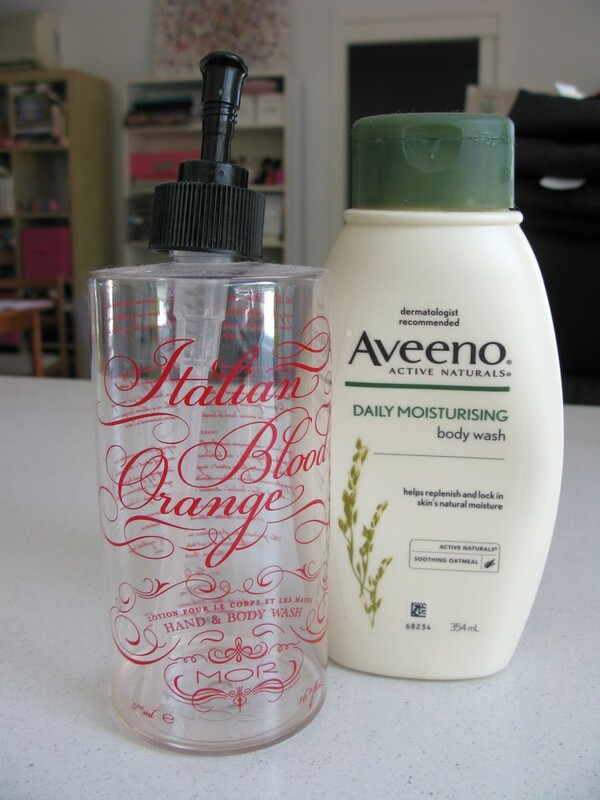 Next are a couple of body wash empties, one from MOR and one from Aveeno. I didn’t find the MOR one incredibly exciting although it had an amazing scent, the pump was horrendous so I replaced it with a pump from a different container which worked better to dispense more product more evenly. The original pump was cheap and crappy and dispensed very little product. The Italian Blood Orange scent was subtle and nice, but I don’t think I’ll repurchase the body wash again. 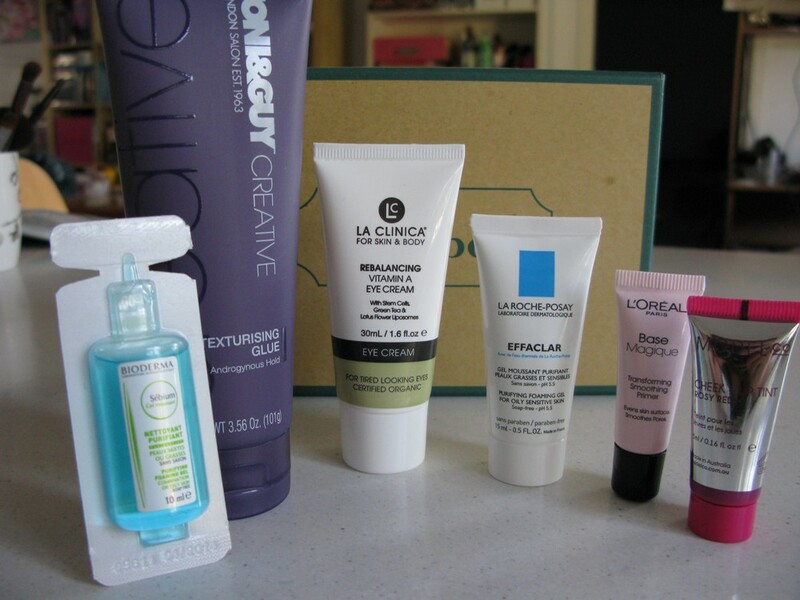 I got in on sale which is why I tried it (and I do like MOR products). The Aveeno body wash is wonderful and I wish I could get it in a bigger size (I’m sure they sell it somewhere?). So moisturising and luxurious yet not obscenely scented (only very slight if any?). It would be my go-to body wash if I could get it in a larger size. 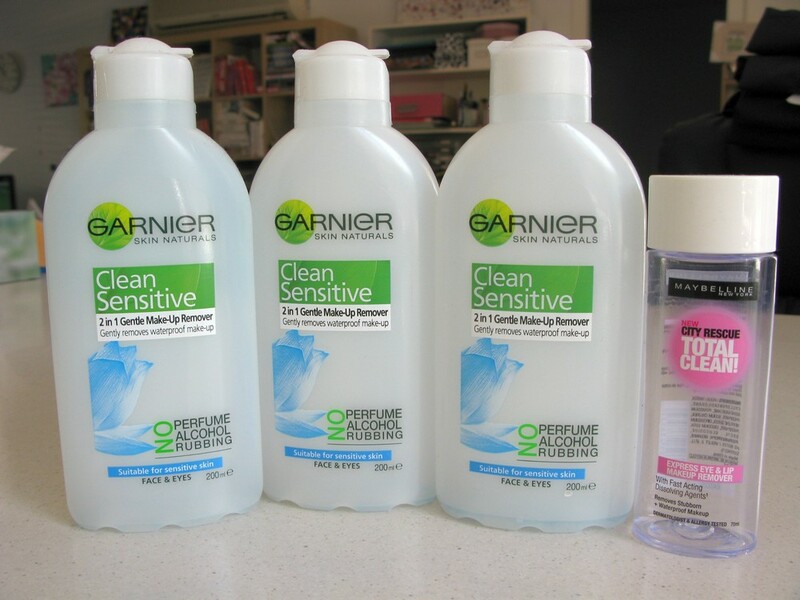 I clearly have a love affair with Garnier’s Clean Sensitive 2 in 1 Gentle Make-up Remover as demonstrated below 🙂 I love the stuff! It’s affordable and effective and comes in a decent size. I would LOVE if it came in an even bigger size but it works pretty well. 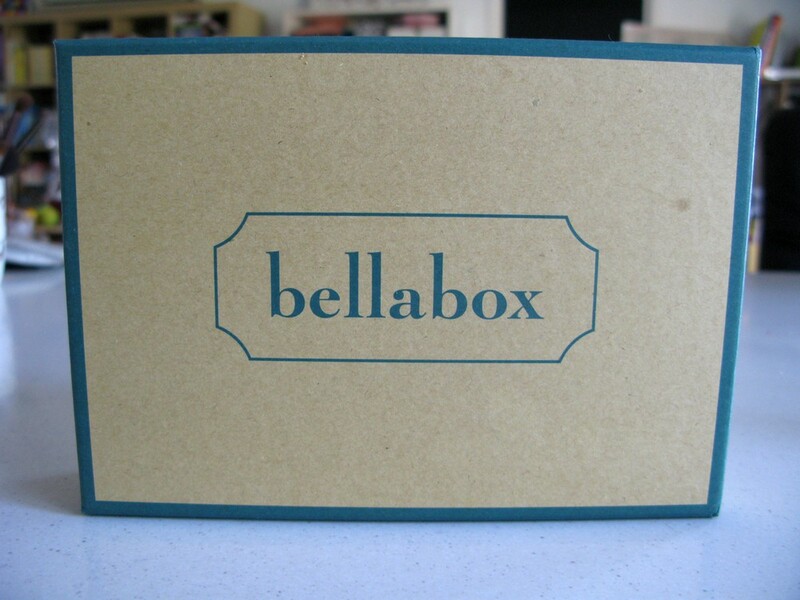 It is one of the mix-em-up makeup removers and works very well to take off my waterproof eyemakeup. I tried Maybelline’s Total Clean City Rescue makeup remover which worked quite well too, but just not *as* well as Garnier’s. I tried it because it was on special and I was curious as to how effective it was. It works well but the bottle is too small and overpriced for what you get… but it *does* work. 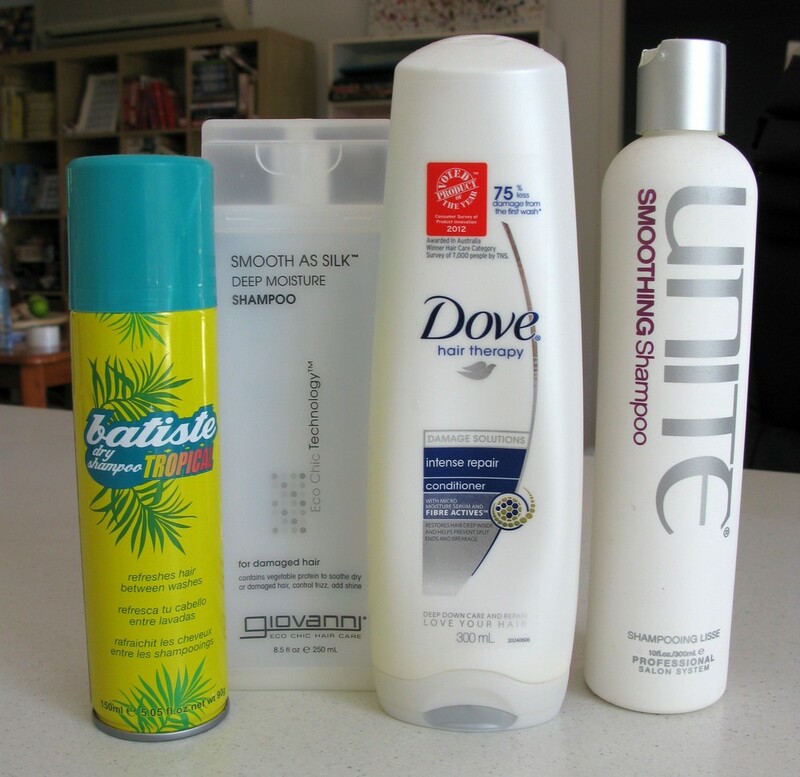 Finally my haircare empties include the ever famous and well-loved Batiste dry shampoo, a ‘nasties free’ shampoo by giovanni, Dove’s intense repair conditioner and another ‘nasties free’ shampoo by Unite Eurotherapy. By ‘Nasties Free’ I mean, contains no sulphates etc. That doesn’t really bother me too much philosophically and on a practical level I don’t really find much of a difference… I actually feel like the ones that lack the ingredients feel hardly different to the ones with the ingredients that people dislike. I will forever repurchase the Batiste dry shampoo and I love the Dove conditioner, but the other two are take it or leave it for me and I probably won’t repurchase because they were both pricey and offered nothing special for my hair.